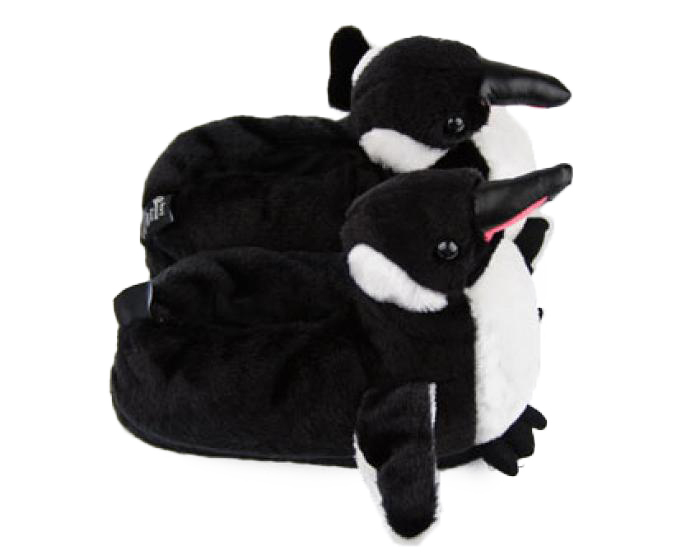 Cute and comfy, these fuzzy penguin slippers will keep your feet warm and toasty even in the frostiest of climates. 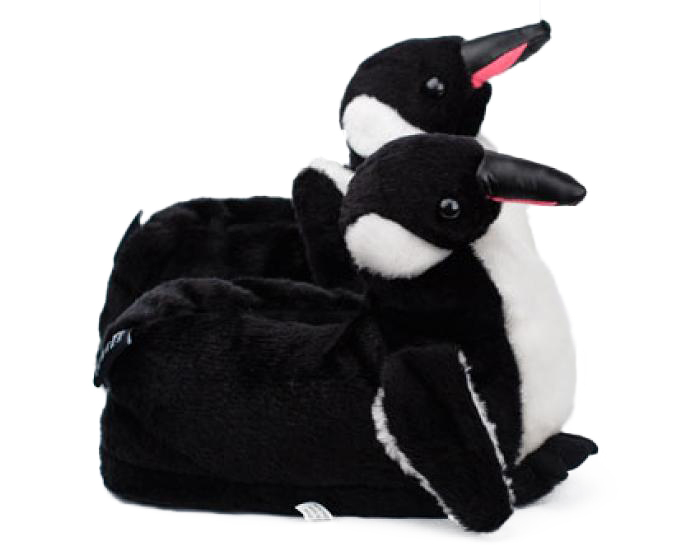 The plush fleece fibers and one-inch thick high density foam will keep your feet warm and comfy, while the durable outer sole and reinforced stitching means these slippers will last. 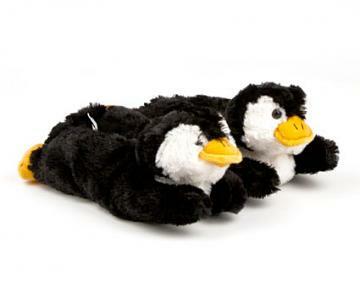 These penguin slippers come in five sizes, ensuring a comfortable fit for every member of the family. 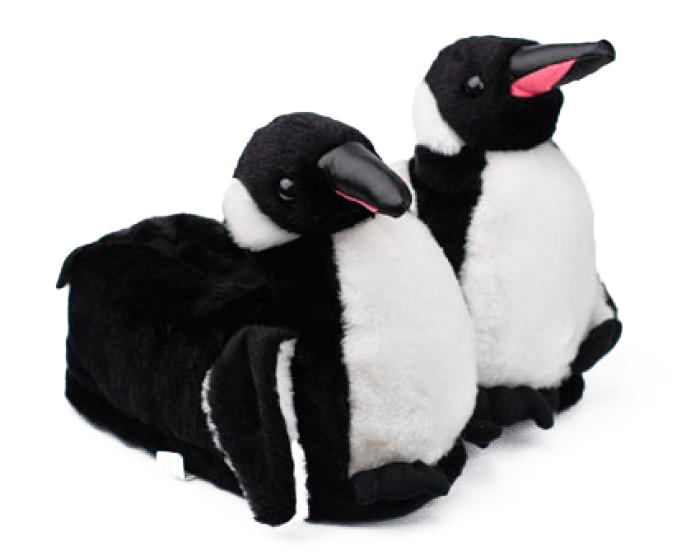 My daughter could not have been more excited with her penguin slippers! She also said they are quite a hit with everyone who sees them! I’m so happy I ordered them for her. Advantages: Cute as can be. Comfy and cozy. Disadvantages: None that I’ve heard. 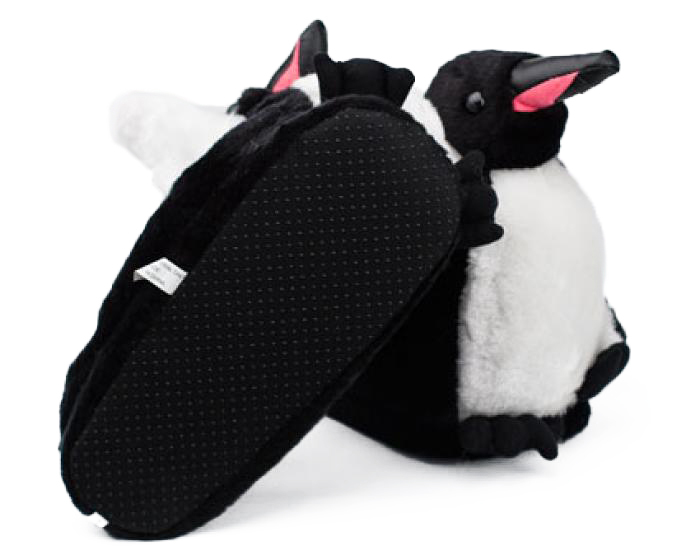 These are the coolest slippers ever! We could not be any happier with them! They fit great and they are so much fun! These are the comfiest bad boys I've ever worn. They're so soft and squishy, and I always look forward to slipping on my boys as soon as I get into the door. I'm so happy for them. I never take them off. It's so cute when their heads bob around as I shuffle throughout the house. Advantages: Soft, squishy, and oh so comfy. 2nd order this holiday season. Love the products and cannot believe how quickly my purchases came!! Great company. Love the selection. Will definitely be a return customer. I absolutly love them. They are so soft, adorable and comfortable. The company is fantastic to work with and quick shipping. I will be ordering again in the future. Thank you. Advantages: Comfy, soft, exact fit, perfectly constructed. Disadvantages: Scares cats and dogs lol. These slippers are even more impressive in person. They have a thick lining so are comfortable and they're the size of a new born kitten. They're a lot of fun to wear. Advantages: So warm, comfortable and add a bit of fun. Disadvantages: So big they get caught in furniture sometimes, lol. This product is great, and it also came in a reasonable time period. My wife was almost to tears. She loved/loves them so much. They are so soft and comfortable.